One of the most common applications for iPads beyond general consumer use has been as a POS terminal. Their low cost and the host of POS applications available for them makes the iPad a perfect solution for many small business looking for an affordable option to process transactions. Almost every iPad based POS system requires a dedicated printer to create receipts for each transaction. . Star’s TSP650II BTi is one of the most commonly purchased for iPad systems due to their easy integration and high quality print results. See how simple it is to get up and printing receipts on your iPad in the following video. Fueled by growing demand for mPOS solutions in Canada, Star is pleased to announce a new compact cash drawer configuration, as well as standard and full sized SMD2 cash drawers specifically designed to house Canadian currency. 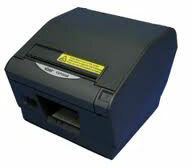 Star’s SMD2 cash drawers provide retailers and hospitality providers a secure way to manage cash for mPOS. A smarter alternative to traditional cash boxes, cash registers and cash tills, Star’s SMD2 cash drawer is equipped with the ability to communicate via standard printer driven interface with included cable or Star’s DK-AirCash wireless communication option for Ethernet, Bluetooth 2.1 with Android and Windows support or Apple MFi certified Bluetooth with iOS support. Available in two convenient sizes with black or white color options, Star’s SMD2 cash drawers for Canada offer a stylish and reliable cash management option to complete any POS or mPOS system. As part of an effort to help customers make sense of all of the terminology that surrounds Zebra solutions, we are launching a series of posts that will define some key terms – both industry-wide and Zebra-specific – to cut through the clutter. We’re starting with a dictionary of Link-OS terms! You keep hearing that demand is growing for devices that are mobile, intelligent, and connected to the cloud. Did you know that Zebra’s Link-OS Environment was created in response to this demand? The Link-OS Environment is an open platform that pairs an operating system for smart Zebra devices with powerful software apps, making the devices easy to integrate, manage and maintain from any location. With all the functionality comes a lot of new business language! Bluetooth technology is empowering developers and fueling innovation worldwide. 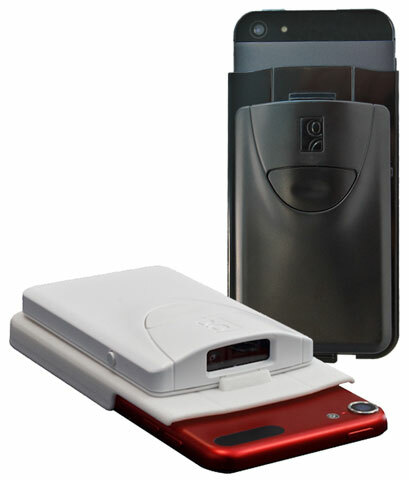 Easy to set up and use, Bluetooth technology continues to be a popular choice for end users operating in a mobile setting. Star bolsters its “i” Series of printers with the launch of its expanded MFi certified Bluetooth printers with operating system support for iOS, Android and Windows. Apple MFi certified, the TSP700II BTi Label, TSP800II BTi, TSP800IIRx BTi and SP700 BTi are approved for use with the iPod Touch, iPhone and iPad. 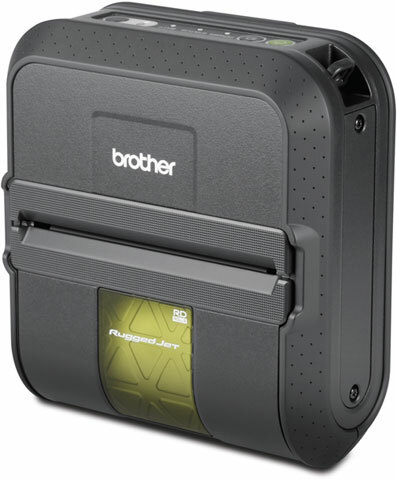 Brother has announced that its RuggedJet 4 Wi-Fi handheld receipt and label printers now support Apple AirPrint wireless technology. AirPrint from Apple allows users to wirelessly print from iPad, iPhone, and iPod touch devices directly to RuggedJet 4 printers with ease. Brother Mobile Solutions, a premier provider of mobile and desktop thermal printing products, is proud to bring seamless integration and wireless printing to iOS users with this announcement. Built-in AirPrint compatibility allows instant printing from iOS devices without the need to download or install drivers or interfaces and simplifies the RuggedJet user experience, making the thermal printer even easier to use. Moreover, all existing RuggedJet 4 Wi-Fi printers are backward compatible with AirPrint via a simple, free firmware update available from Brother.